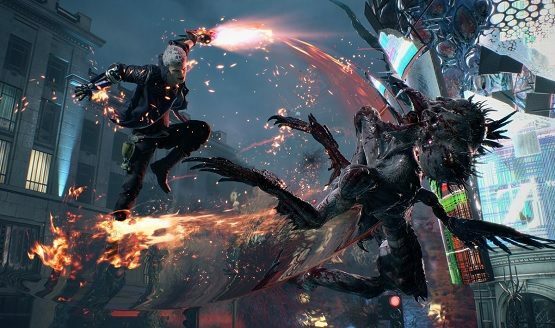 Capcom presented its upcoming action-adventure title Devil May Cry 5 during the Tokyo Game Show (TGS) 2018 today and a lot of new information was revealed during the presentation. Capcom revealed Devil May Cry 5 Deluxe Edition earlier today and the description behind the game’s new edition confirms that we will be getting a co-op multiplayer mode, playable for two to three players only. The cover mentions it as “Network Players 2-3”, so its pretty much about the co-op mode. 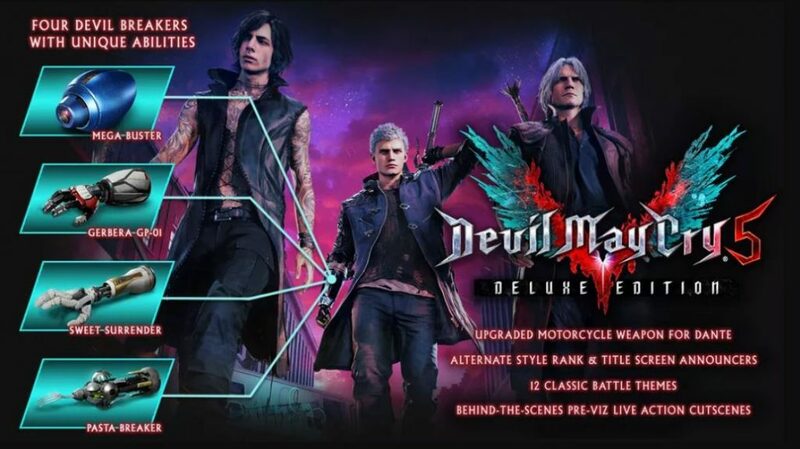 The digital deluxe also revealed the third playable character “V” alongside new weapon for Dante, “Cavaliere R” which comes in as a form of motorcycle. Apart from TGS 2018 announcement, Steam‘s page for Devil May Cry 5 has been updated with the official PC requirements and it must be noted that the game requires Intel Core i7 4770 and 8 GB memory at minimum to run the game with playable settings. The same processor and system memory of 8 GB is required for recommended settings, with a difference of graphics card from GTX 760 to GTX 960. DirectX 11 is required for both the levels. The game is powered by RE Engine, the same engine used for upcoming horror-survival game Resident Evil 2 Remake. Devil May Cry 5 is scheduled for release on March 8th, 2019 for PC, PS4 and Xbox One. Stay tuned for more updates!